Once a small fishing village named Edo, Tokyo, the capital of Japan is the most populous city in the world today (by the metropolitan area). As of July 2016, the population of Tokyo’s metropolitan area is 37,800,000. It has also the world’s largest urban agglomeration economy. An aerial view of Tokyo shows just how huge the city is. 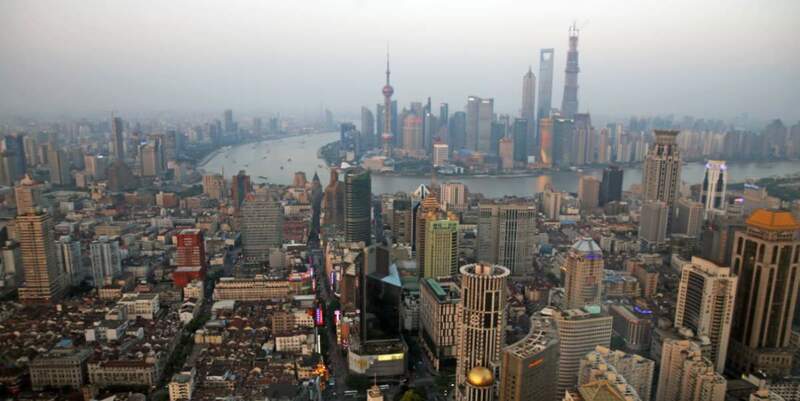 With a population of more than 24 million as of 2014, Shanghai, China is the most populous city proper in the world. 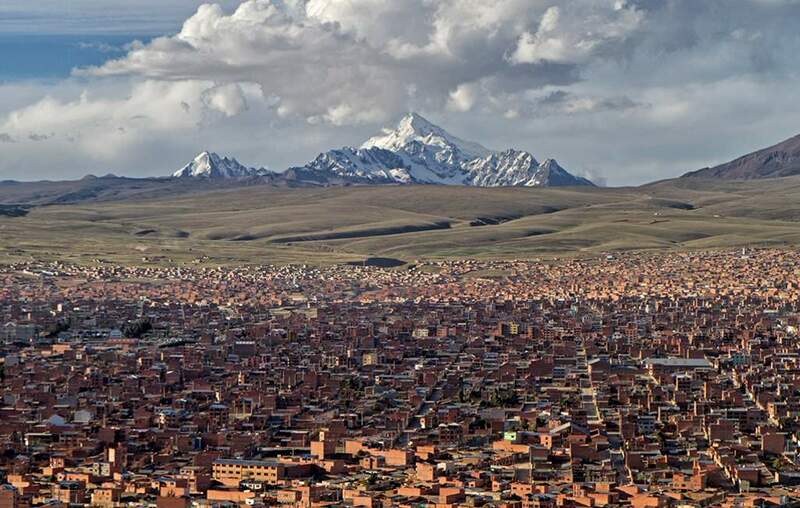 Situated at 4,150 meters (13,615 feet) above sea level, El Alto (Bolivia) is the highest city in the world. The city’s name means “The Heights” in English. It is also one of Bolivia’s fastest-growing urban centers today, with a population of 974,754 in 2011. The highest capital city is also one of Bolivia’s capitals, La Paz (Bolivia is a country with multiple capitals), with the elevation at 3,640 meters (11,942 feet). But the highest permanent settlement in the world (not a city) is La Rinconada (Peru), a town in the Peruvian Andes located near a gold mine. It is situated at 5,100 meters (16,732 feet) above sea level. Sitting at 258 meters (846 feet) below sea level, Jericho (Palestine) is the lowest city in the world. It is also one of the oldest cities. In 2007, it had a population of 18,346. It is described in the Hebrew Bible as the “City of Palm Trees”. The lowest capital city, and also the largest city in the world located below sea level is Bakü (Azerbaijan). It is situated at 28 meters (92 feet) below sea level. According to the Guinness Book of Records, Ürümqi of Northwest China is the most remote city from any sea in the world. It is about 2,500 kilometers (1,600 mi) from the nearest coastline. Ürümqi location on map. It is the capital of the Xinjiang Uyghur Autonomous Region of the People’s Republic of China in Northwest China. ÜIt was a major hub on the Silk Road during China’s Tang dynasty, and developed its reputation as a leading cultural and commercial center during the Qing dynasty. With a built-up (or metro) population of 2,988,715 as of 2010 census and 3.03 million in 7 urban and suburban districts, Ürümqi is the largest city in China’s western interior. The city has earned a place in the Guinness Book of Records as the most remote city from any sea in the world. It is about 2,500 kilometrers (1,600 mi) from the nearest coastline. 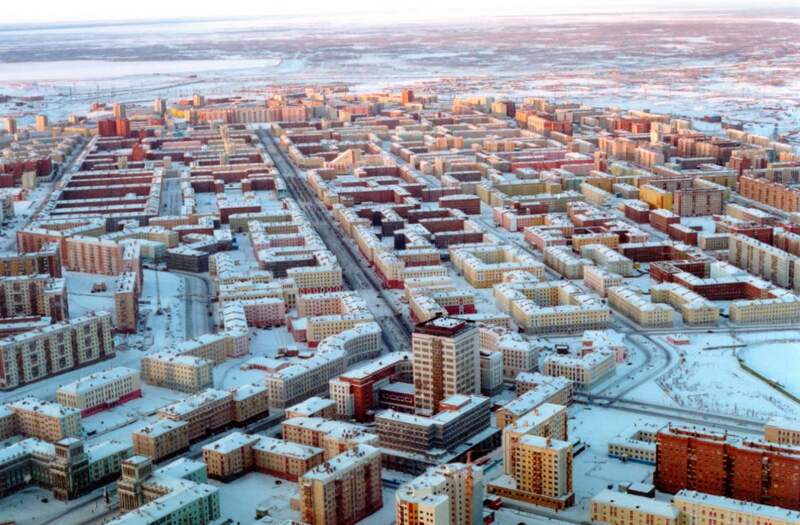 Located in Siberia, Norilsk is the world’s northernmost city with a population of more than 100,000. It is also not just one of the coldest cities of the world, it’s also one of the filthiest. It has a permanent population of 175,000. With temporary inhabitants included, its population reaches 220,000. Nickel ore smelting is directly responsible for severe pollution, generally acid rain and smog. At latitude 82°30’05” north, 817 kilometers (508 mi) from the North Pole, the northernmost permanently inhabited place is Alert, in the Qikiqtaaluk Region, Nunavut, Canada. Reykjavík (Iceland) is the northernmost capital city. Ushuaia is commonly regarded as the southernmost city in the world. Sitting at 54°48′ South, it has a population of 56,956 (as of 2010). The southernmost permanently inhabited place is Puerto Williams (Chile), which has a population of 2,874 (as of 2002). It is located at 54°56′ South. The southernmost city with more than 100,000 population is Punta Arenas (or Sandy Point in English), Chile. It is also the largest city south of the 46th parallel south. Wellington (New Zealand) is the southernmost capital city. Yakutsk is the capital city of the Sakha Republic, Russia, located about 450 kilometers (280 mi) south of the Arctic Circle which has a population of 269,601 (2010 Census). t is the coldest major city in the world. In Yakutsk, average monthly temperatures range from +19.5 °C (67.1 °F) in July to −38.6 °C (−37.5 °F) in January. The lowest temperature recorded in Yakutsk was −64.4 °C (−83.9 °F) and the highest was +38.4 °C (101.1 °F). Oymyakon (Russia) is considered as the coldest inhabited place on Earth. On February 6, 1933, a temperature of −67.7 °C (−90 °F) was recorded at Oymyakon’s weather station. This is, along with the same reading at Verkhoyansk (Russia), the lowest recorded temperature for any permanently inhabited location on Earth. The average minimum temperature for January, February and December remains below −50 °C (−58 °F). Ulaanbaatar (Mongolia) is the coldest capital city. Most sources picks Ahvaz (Iran) and the Kuwait city as the hottest cities on Earth. 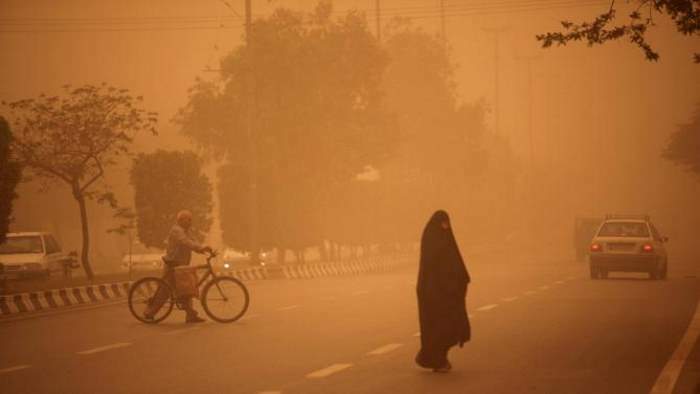 Ahvaz is consistently one of the hottest cities on the planet during the summer, with summer temperatures regularly at least 45 degrees Celsius, sometimes exceeding 50 degrees Celsius with many sandstorms common during the summer period. In Kuwait city, Summer temperatures regularly exceed 45 °C (113 °F), and temperatures over 50 °C (122 °F) are not uncommon. In the summer of 2014, Kuwait City hit 52 °C (125.6 °F). Ahwaz or Ahvaz is a city in the south of Iran. At the 2006 census, its population was 1,432,965. Ahwaz has the world’s worst air pollution according to a survey by the World Health Organization in 2011. The city is also famous for its sandstorms. Yes, that’s true. 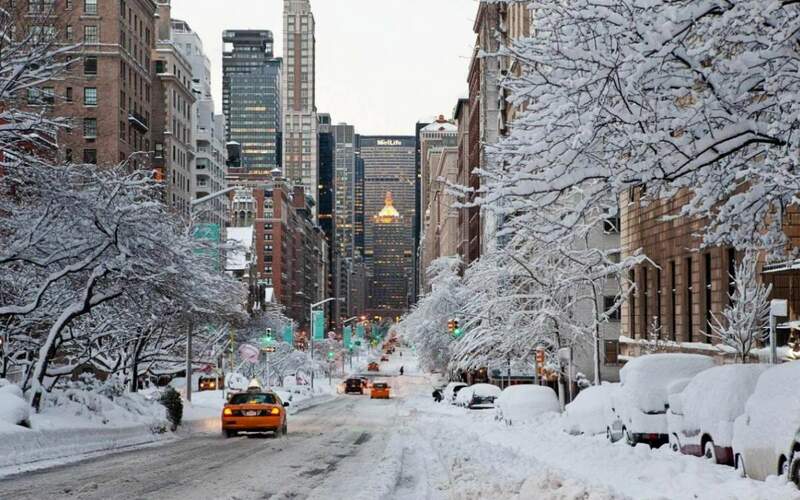 New York City sits at 40.7128° North, while Rome is at 41.9028° North. New York City is further south than Rome.